The Perks of Backyard Farms CSA! A weekly bag of fresh veggies, specializing in salad greens, cooking greens, and herbs, plus cherry tomatoes, cucumbers, and much more according to what’s in season. 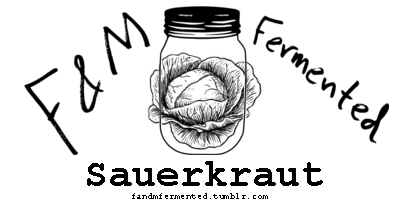 An optional fermented vegetables share from F&M Fermented, consisting of a bi-weekly surprise of sauerkraut, kimchi, fermented radishes, turnips or other delicious probiotic condiment. The fermented share is $7.33 per 16 oz share every 2 weeks for 23 weeks. That’s 12 16oz containers for $88. A small farm stand at each pick-up gives you the option to buy additional seasonal items, such as raspberries and strawberries. The chance to get your hands dirty on the farms where your food is grown. There are only 10 vegetable shares available, so sign up soon! A full-season share costs only $15 a week. That is an average value, so some weeks it will be a bit more(mid-late summer), and some weeks a bit less (spring and fall). In 2012 our members received an 8% bonus. 2013 brought them a 9% bonus of $368 worth of vegetables. Our price of $345 at the beginning of the season buys you a bag full of veggies every week for 23 weeks, May 26th-October 27th. Our shares are smaller than typical CSAs, perfect for an individual or couple, or for a family who wants to have their basic greens needs covered each week! An example of one week’s share might include: 1/3 lb bag of salad, a bunch of rainbow chard or collards, a bunch of parsley or basil, a bunch of scallions and a pound of eggplants. Finally, we offer for each of our members to join us for a three-hour work session at some point during the season, so you get a chance to work on an urban farm. Everything tastes more delicious when you’ve worked for it! Getting dirty in the garden is a great opportunity for people of all ages to see what their favorite veggies look like off the shelves, and to take pride in the gardens we’ve all helped to create. Contact us to schedule a work session! We’ll also offer our CSA members periodic work parties when we have bigger projects. 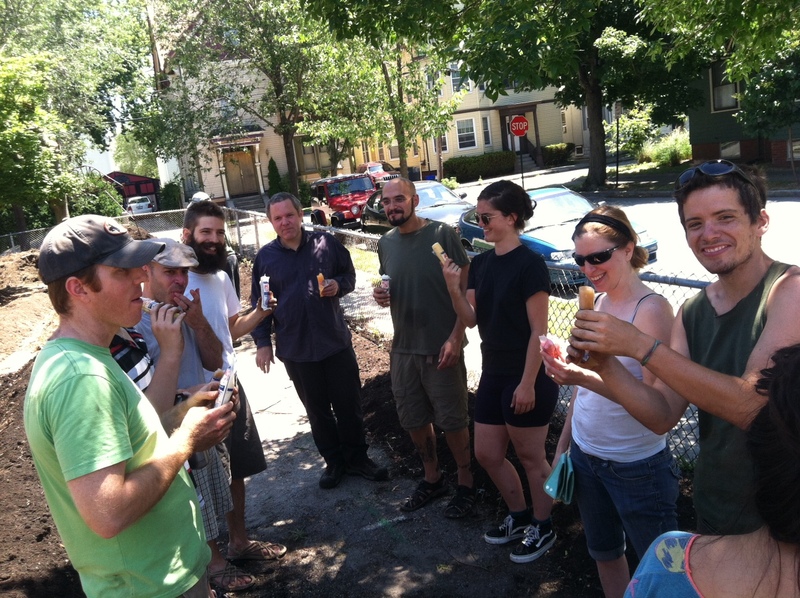 For the 2015 season, our weekly pick-ups are Tuesdays from 4-6 at Front Step Farm at the intersection of Almy and Slocum streets. If you will be out of town for a week, or are not able to pick up at the designated time, we kindly ask that you either arrange to have a friend receive your share for that week, or if you give us advance notice we will donate your box to someone who needs it. Unfortunately we have no cold storage and we won’t be able to accommodate pick-ups on days or at times other than what’s designated. A share costs $345 for the season (23 weeks) and payment is due in full by May 26th, or preferably, as soon as you can. Checks can be made out to Adam Graffunder. If you’re not able to pay in full by the starting date, please contact us to have a conversation about how we can serve you vegetables. Registration is currently full, but if you email backyardfarmscsa@gmail.com, I can put you on a waiting list and email you if the registered members have not all paid on the first pickup day, May 26th.